Secluded, private, and beautiful three bedroom cottage. 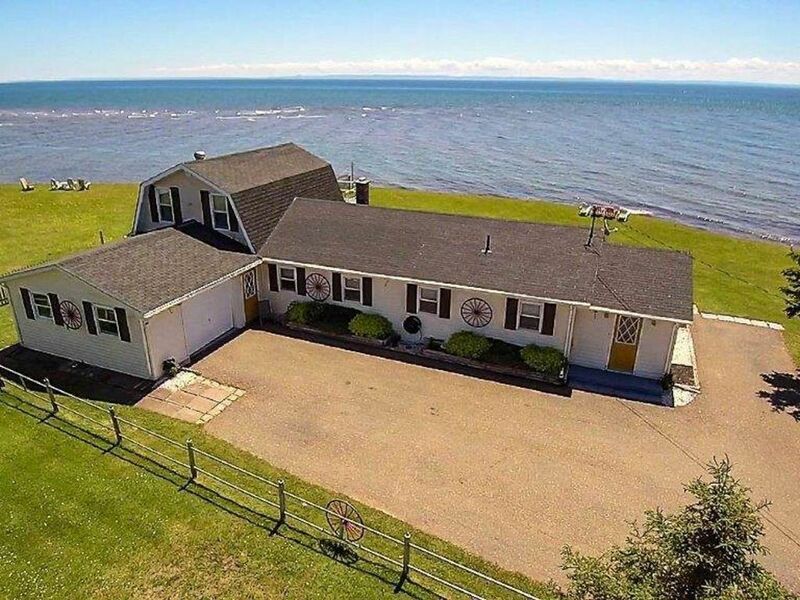 The cottage sits right on the Northumberland Strait, you can enjoy the sunset and sunrise on our ocean front chairs, or on either of the two decks. This property is a beach goer and seaglass collector's dream. If you like relaxation, privacy, and incredible views, this is the place for you. Everything you need is right here, just bring yourself, some food, and prepare yourself for an amazing and unforgettable vacation. My wife heather and myself bought this property in 2010 mainly because of the view it is amazing. We live nearby in Montague, and have been improving the property over the last number of years while living in the cottage every July and August. We love it here and just decided to share it with you all. The view is second to none and there is no feeling like sitting out by the water having a coffee or a beverage and going to sleep with the sound of the ocean. We spent a wonderful week in PEI largely due to the beautiful location provided at Woody’s place. If you are looking to get away and enjoy the solitude and natural beauty of the island, this is the location for you. We found the cottage to be well appointed, very clean, and the owners very helpful. We are looking forward to our next trip! Within 30 minutes there are 3 golf courses: Belfast Highland Greens is a 9 hole course and 2 beautiful courses; Brudenell and Dundarave, both 18 hole courses . Kings castle is a park for kids within 10 minutes admission is free and there many restaurants within a 30 minute radius. Cafe #5 located in Murray Harbour, 5 minutes away, is one of our favourites!